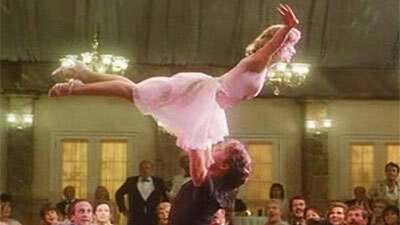 That Great Dirty Dancing Ad! Face it: You can’t hear “Time Of My Life” without lip syncing and recreating a couple of the moves made famous in the 1987 flick Dirty Dancing. There was a time when we all wanted to be Baby or Johnny, and there’s simply no denying it. Which is why the new commercial from United Health care strikes so close to home. It’s not just that it’s a cute ad, which it is, but rather that it’s something we can all relate to. We’re not laughing at the couple, we’re laughing with them. Haven’t seen it yet? Check it out below!